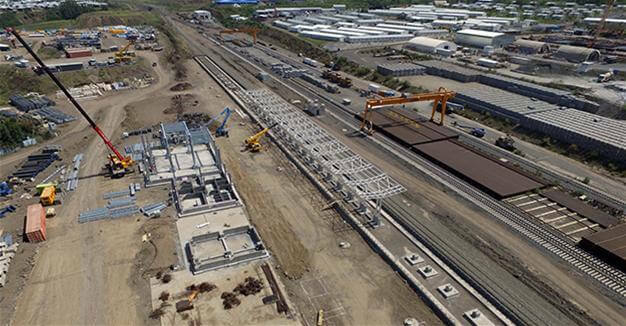 Turkish construction giant Yapı Merkezi hopes a $3 billion modern railway-line project it is building in Ethiopia and Tanzania will showcase its skills and make it a “trusted development partner” in Africa. The consortium, which prides itself on successfully building some 2,600 kilometers of line (1,615 miles) and a dozen rail systems in different parts of the world, first set foot in the African infrastructure market with its Casablanca and Algiers light railway networks. Financial Affairs Manager Murat Öcal told Anadolu Agency its first two African projects marked the beginning of its expansion on the fast-growing continent. “The projects were completed on a high note and showcased our competence and Turkish technological advancement,” he said. The latest Ethiopian and Tanzanian standard-gauge railroad contract is the first African megaproject for the company, Öcal added.